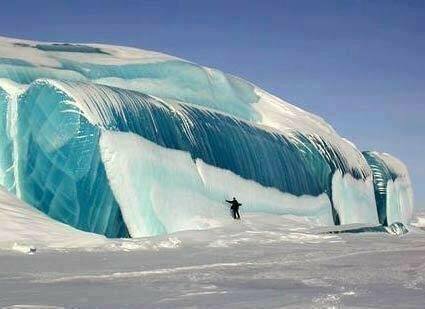 Claim: this is a photo of frozen tidal wave in Antarctica. The claim is false. That is an ice formation built up over time. This photograph was taken by scientist Tony Travouillon in Antarctica.